For foodie like me, Pakistan is one of the richest heavens on earth with tastes ranging from sweet and sour to mild and spicy, all which one craves at any moment. 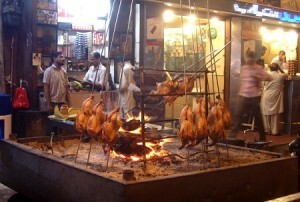 These mouth watering dishes and junk food are definitely an extravagant treat for all Pakistanis. It is hard to decide which taste is better amongst all, all you are left is with ample choices to select from, the savory, spicy flavor of the samosay chutni or the saccharine lassi. The essence of waking up on Sunday’s morning just to have the exotic breakfast of halwa puri at any roadside dhabba is amazing. Combining the saltiness of channa with sweet ,oily halwa in one bite to eat with the puri is love and creates a perfect combination. While talking about roadside cuisines that drive our tastes buds, how one can forget the tangy and most favorite pani puri/gol gappay .The essence of the khaata pani steer in you an extraordinary willingness for more and instills a feeling that is undefined. 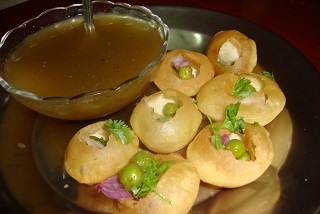 To note, the way of eating a pani puri is also unique in itself, becomes difficult to handle it but since it gives extreme pleasure to the taste buds, handling becomes a secondary concern. The little flour shells stuffed with potatoes and chickpeas and filled with intense flavored water left you drool for more. Adding color to the taste lists down another exciting flavor to the recipe of roadside love—gola ganda. 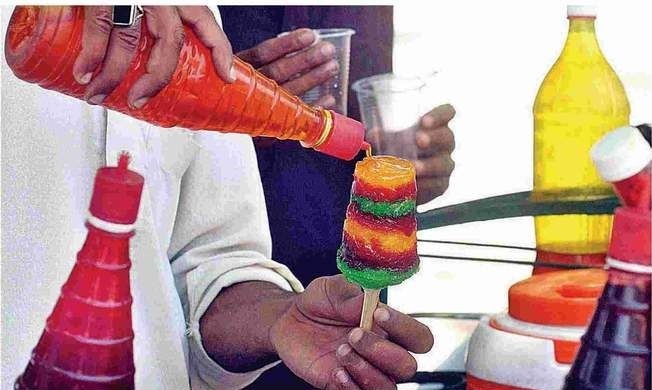 Mixture of various colors and juices is another coolest, iced number in the list of favorite flavors. Crushed ice embedded in various colors and topped with nuts and pineapples creates an extraordinary fusion of cold with colors that is too gorgeous to eat. The small shops of Bun-kababs , the hotchpotch at the juice and shake stalls, mouth –watering tikkas , the purely Pakistani haleem vendors , the spicy chat are some ever delish, flavorful foods that we love to eat. The Pakistani spices are the mainstay of these fancy foods which cannot be found anywhere and we as pure Pakistanis are addicted to them. The smell, the flavor, the aroma, the decoration are magical that is attractive in every aspect for an individual. The richness of the food together with the love of preparation by common man is surely a perfect combination that reflects some positivity we as a nation have bypassing all the negativity.